Talk about a blast of color. 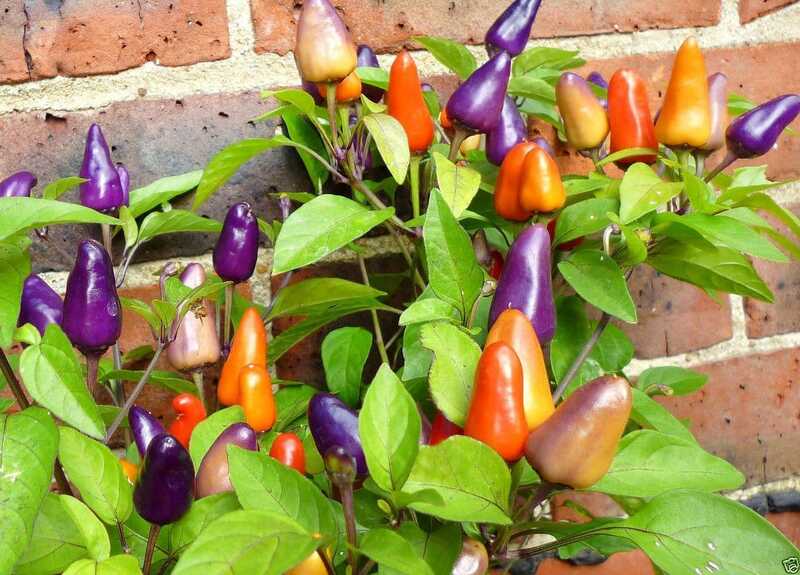 The Sangria pepper is confetti-like in the garden – a world of whites, yellows, oranges, reds, and purples, all on the same plant. It’s one of the more festive ornamental peppers you’ll come across and with a lot less heat than many ornamentals (making it much more family-friendly than most). Though – like with other ornamental chilies – the flavor takes a big back seat to their external beauty, providing a rather neutral peppery taste behind the heat. How hot is the Sangria pepper? 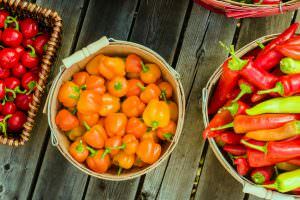 Most ornamental peppers sit in the medium-high heat level of the pepper scale – comparable to cayenne peppers and hotter. Not the Sangria pepper. It’s spiciness aligns well against our jalapeño reference point – equal heat with the chance to be eight times milder than a jalapeño pepper. 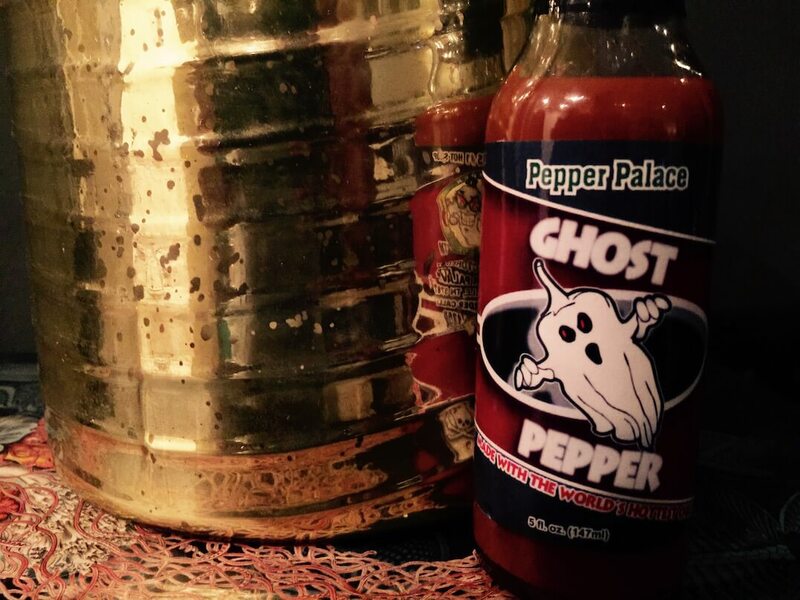 At its mildest, it’s comparable to the poblano pepper – a mere simmer of spice. For those with young family members, this is a very good thing. Mild ornamental peppers, as mentioned, can be hard to come by. 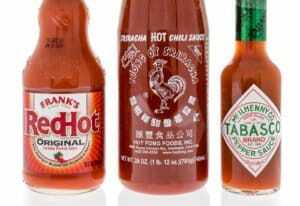 These are much more safe than most in terms of heat. What do Sangria peppers look like and taste like? It’s a beauty that truly draws the eye – seriously the Sangria pepper is one of the most colorful peppers on the planet. It’s like party confetti come to life in your garden or landscaping. They age from cornsilk white and yellow, to shades or orange, red, and purple. The fruits grow in clusters, standing straight up toward the sky. Among the plant’s green leaves, these chilies really pop. They can be just as colorful as the likes of the Aji Omnicolor and Bolivian rainbow peppers. The Sangria pepper isn’t small either – growing two to three inches in length with a thin, conical shape reminiscent of a cayenne pepper. They have a definite presence in the garden. 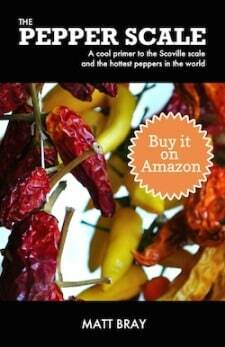 These chilies are first and foremost a beautiful ornamental pepper, so their flavor is truly an afterthought. And good thing, too, as the Sangria pepper doesn’t bring much to the kitchen. 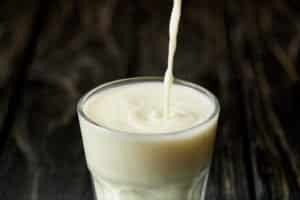 It has a neutral flavor, lightly peppery and a bit bitter, but without much behind the taste beyond that. 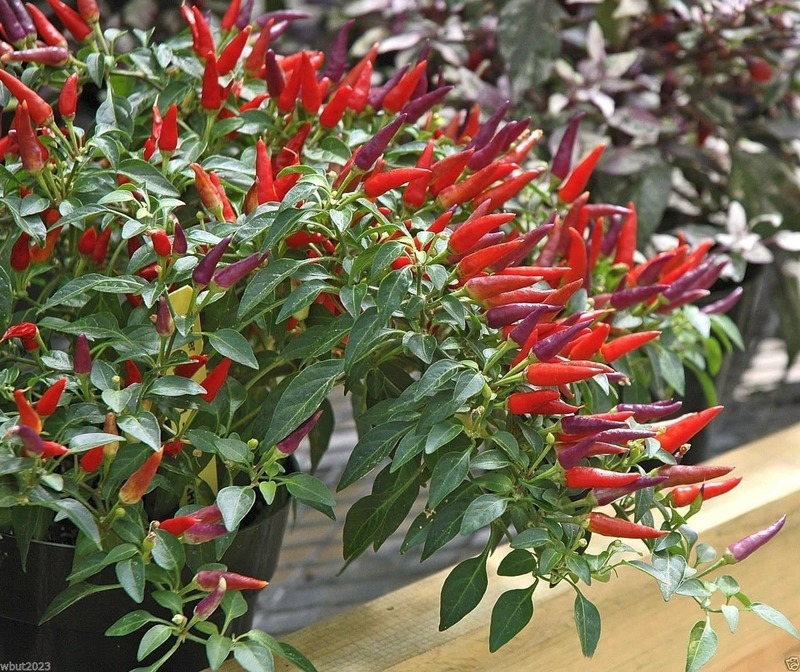 As ornamentals, Sangria peppers can be the star of the show in your garden. Their colors and clustering really don’t take a back seat to other plants, so consider how to use them as focal points, not as support color to a larger design. They work well, too, in containers, so the Sangria pepper can bring color to small spaces, too. They do quite well as an edible plant to bring color to balconies and small porches. In the kitchen, they can be used in a pinch for color and a little heat, but don’t expect them to provide much more. As a way to breathe colorful life into a salsa, they perform exactly as you want. But the bitterness behind the flavor keeps them from being recommended for use with salads and other dishes where the flavor is more upfront. Mixed in salsa, that bitterness can be more easily hidden. Where can you buy Sangria peppers? Gardening centers often carry Sangria pepper seeds, and you can also find them easily online. Because they’re so colorful and show well, you may also find them as starter plants already planted in containers. 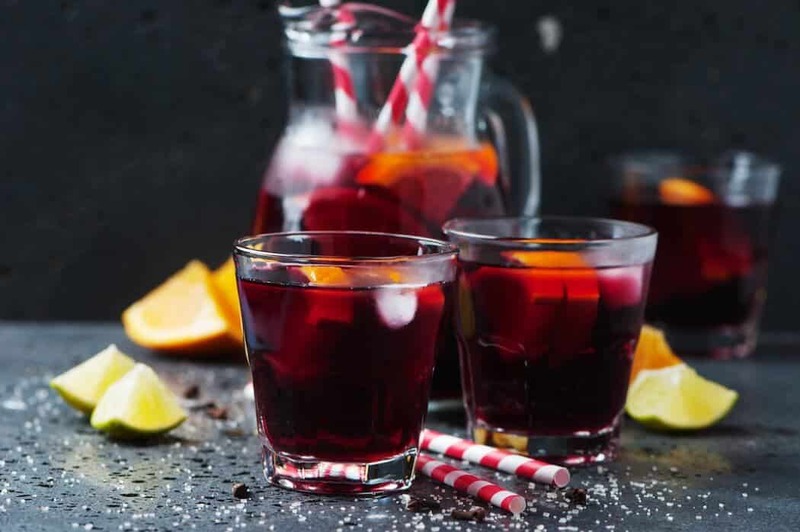 There’s some real stunning color here, so if you’re in the market for a colorful pepper to bring pop to your space, the Sangria pepper can truly be like confetti in your garden. They are simply festive.